The McNay Art Museum addition designed by Jean Paul Viguier almost didn’t happen. 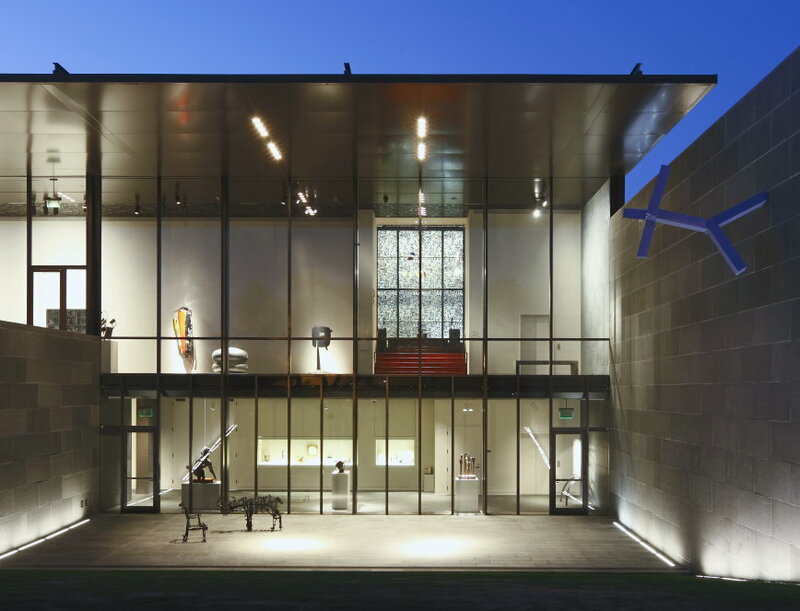 The mission for the planned 42,000 square-foot Jane and Arthur Stieren Center for Exhibitions was to double the museum’s capacity to showcase its impressive contemporary art collection, the first collection of contemporary art in the state of Texas. Fully modern in profile, the glass-and-steel addition was integrated into the existing Spanish Colonial Revival-style mansion and the Texas landscape. It was dramatic yet subtle and practical. By the end of the design period, the project was over budget, and the Museum’s board responsibly called a meeting to decide how to proceed. The board decided to halt the project to raise additional funds before commencing. Our job is to help clients make informed decisions. In 2006, as construction costs were escalating rapidly, we could see that fundraising would not keep pace with the escalation. We suggested to the board that the longer they paused to raise funds, the more expensive the addition was becoming. We focused the group on a true “now or never” moment. The project had everything going for it: a responsible board, donors who supported the mission of the museum, a great builder with a great price and a supportive director who trusted us to do our job. The board decided to move forward, and soon ground was broken. As the new addition took shape, it was clear that this decision was the best one for all involved—including the public. Low-slung and rectangular, with a flat, translucent roof, the Zen-like building juts out in stark contrast to the Spanish Colonial Revival—style mansion that was once founder Marion Koogler McNay’s home. Yet tucked into a grassy slope, it doesn’t overpower the original structure.